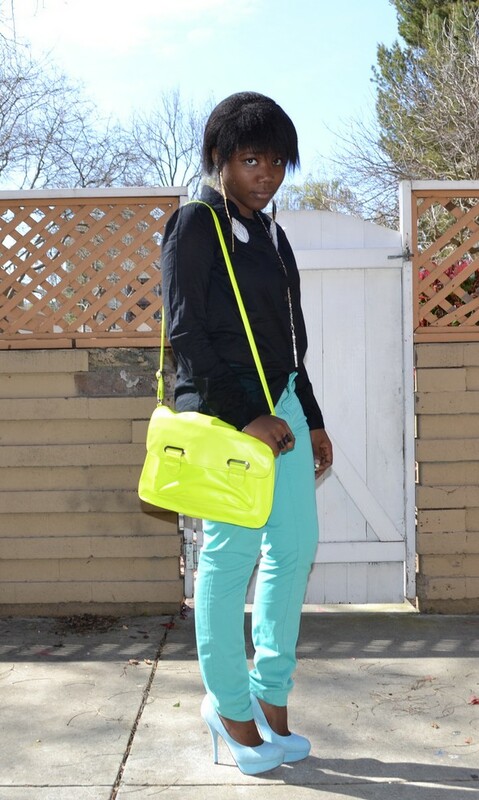 wow, i want your bag... i'm so inlove! 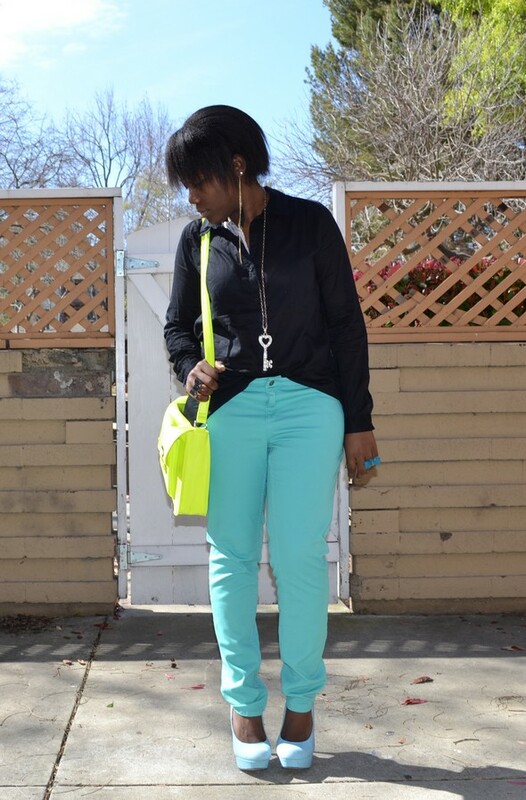 love all the brights in this outfit! 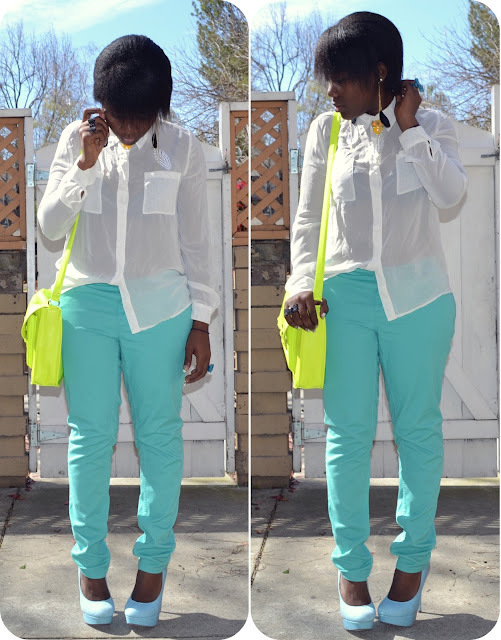 :) the mint pants look great with the white blouse! Yes it's an american store! u look great those colors are everything!! This is absolutely GORGEOUS! I am IN LOVE!I prefer the white on mint. Very hot! J'adore ton pants et ton sac ! Faut absolument que j'aille à Target et à F21 un jour !! 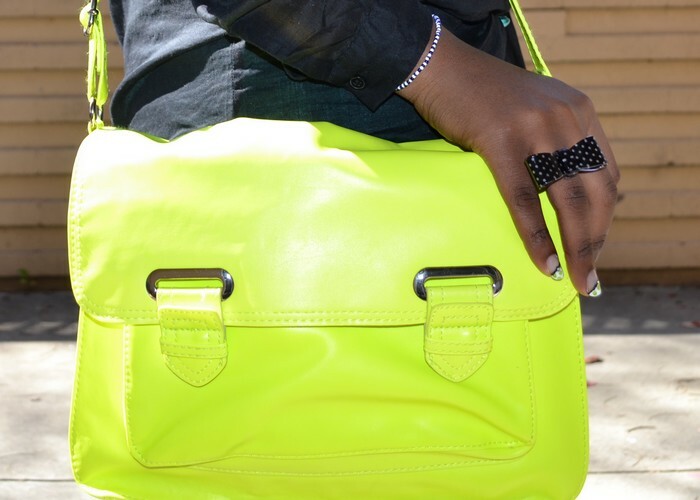 great mix of neons colors! the bow rings are sooo cute! your bag is soo cute!! 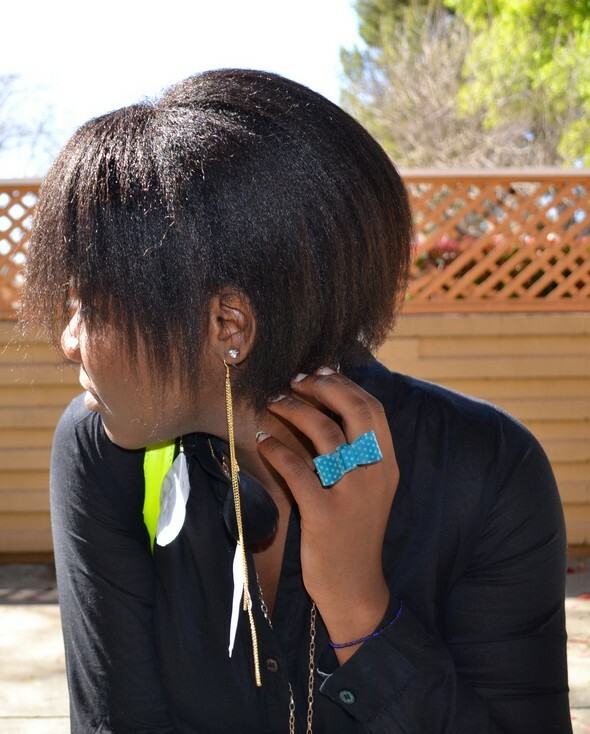 Im in love with it! SO in love with the satchel it's amazing! I love the outfit both ways, but I especially prefer it with the white blouse, great for the summertime! We just love your blog. Nice one! Il est trop chouette ton blog, la souris se transforme en noeud!! J'aime bien les deux tenues, dur de choisir! Le pantalon te va super bien, la couleur fait printemps! you look so pretty, I just love the bow rings.